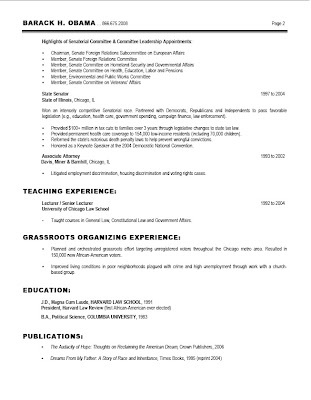 Looking for a CV template or guide? 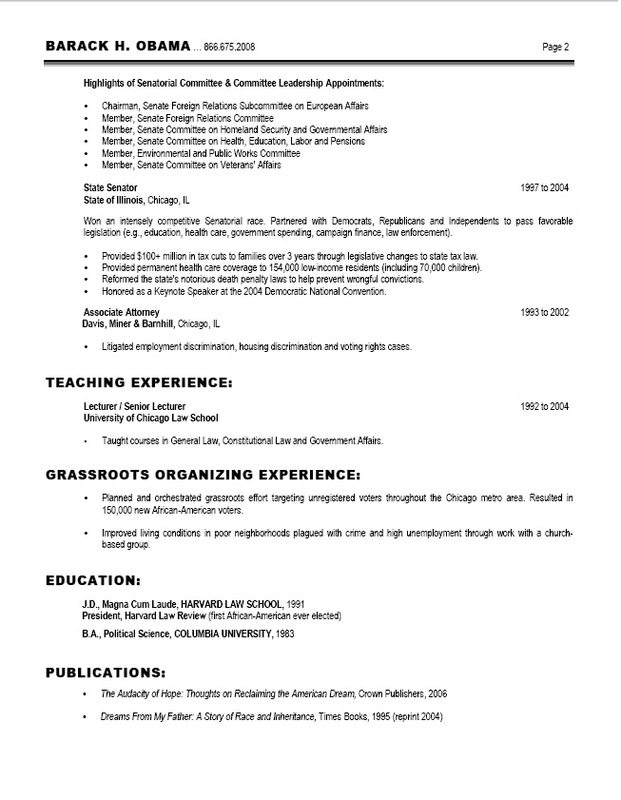 Need to prepare your CV for the next Leadership role? What role is greater than the President of United States of America. 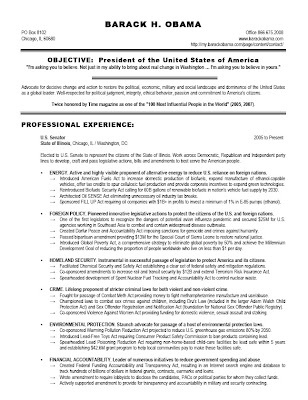 Here is Obama's CV as senator, before he became the president. 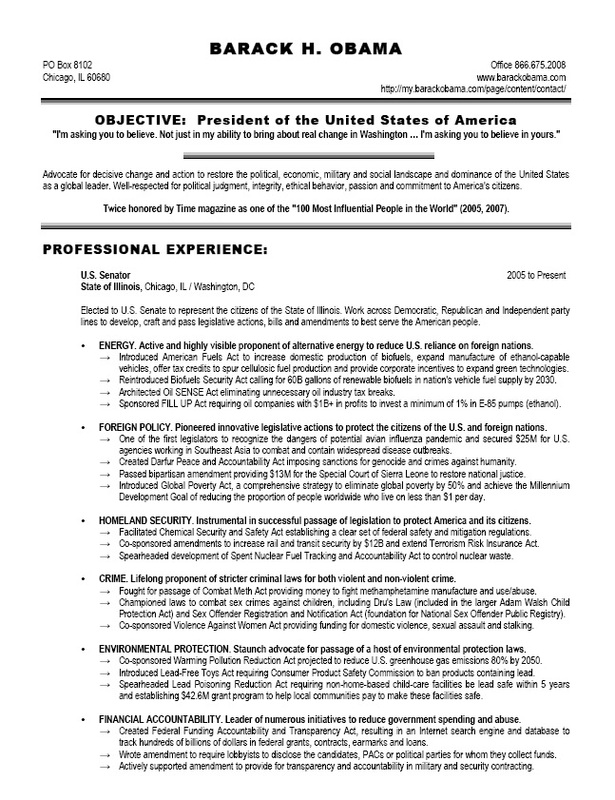 Your CV should be able to speak for you, see where Obama is today. See the second half after the jump.